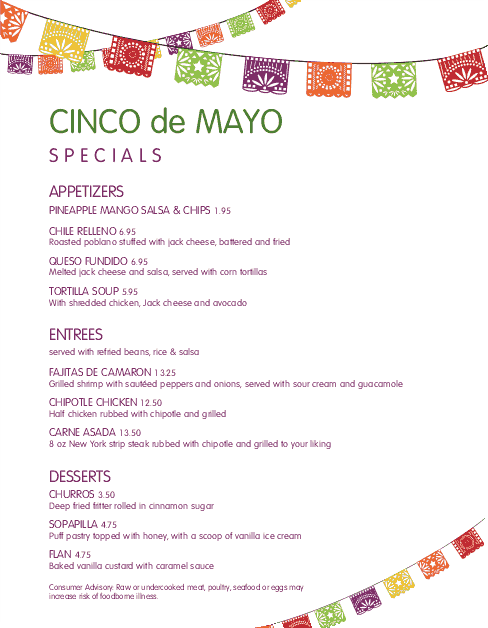 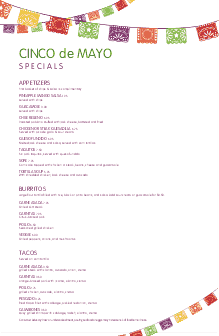 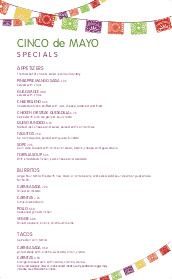 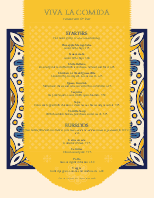 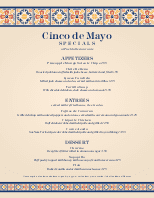 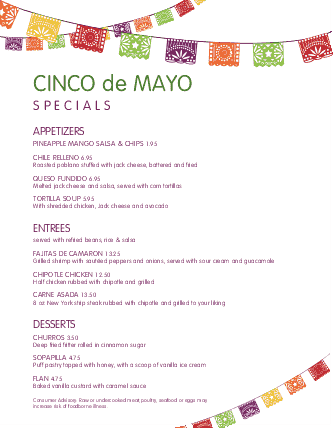 Festive colored flags are strung on the top and bottom of this Happy Cinco de Mayo menu. 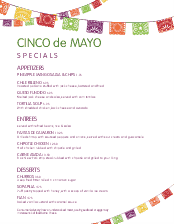 The Cinco de Mayo specialties are listed below in a single column. 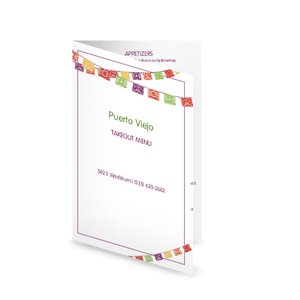 A thin purple border runs around the page. 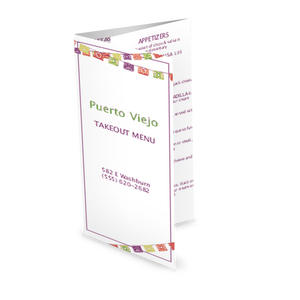 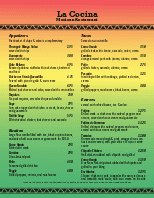 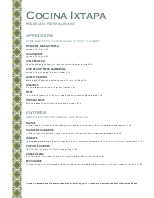 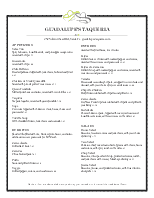 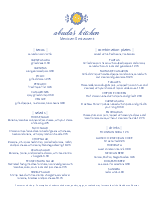 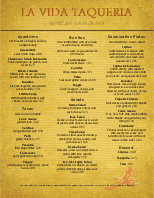 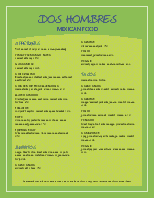 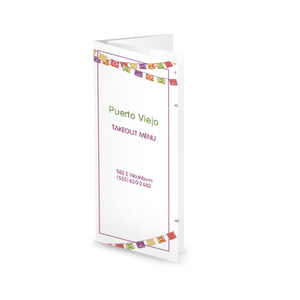 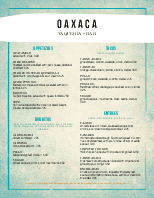 Update this Mexican holiday menu online using the Menu Editor.